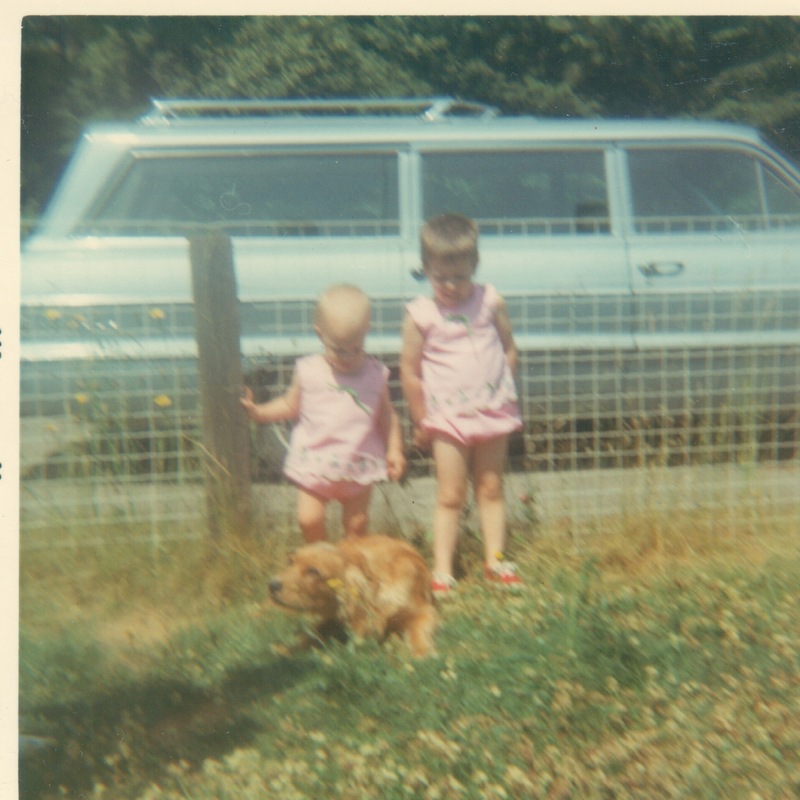 Me with my sister, our dog Rusty and the infamous station wagon in 1968. Lately I’ve been reminiscing about a much different time in my life. A time before I got so consumed with doing more, having more, being more. A time when things felt easy and fun. I was remembering my childhood. I had a fairly ordinary upbringing. Until high school everyone I knew lived pretty much the same way we did. The men worked, most of the women stayed home. People lived in modest, usually somewhat messy, homes. No manicured lawns. No one I knew drove a new car. We had enough. We were happy. Fast-forward to today and it seems like the standard is so much higher; the pace so much faster. I sometimes fantasize about having enough money to buy a new car and remodel my house. I have visions of hardwood floors and granite countertops; stainless steel appliances, leather furniture, a flat-screen TV. All around me smart phones, gym memberships, mani/pedis, and designer handbags have become the norm. I’m not saying there’s anything wrong with those things. Some of them weren’t even available when I was growing up. And I certainly enjoy the many advances we’ve made. Without them, I wouldn’t be able to connect with you today. I’m just noting the difference. I’m also not insinuating life was easy for my parents. My dad worked hard and money was a constant worry raising four kids. But, back then it never occurred to me the adults in my life wanted more the way it seems that we constantly do now. What if they had it right all along? I have so many fond memories of times gone by. The worn linoleum on my grandmother’s kitchen floor. Birthday cakes not bought at the store but painstakingly crafted into pink elephants with coconut frosting. The old station wagon in which my parents took us to the drive-in where we would watch Evel Knievel movies in our pajamas. The tire swing hanging from the old cedar tree behind our house. Lazy summer afternoons spent at the lake with all our friends. Getting books from the Bookmobile because the library was too far away. The clothes my mom used to sew for us. Homemade bread. Eating food fresh from our garden, especially the raspberries from the bushes transplanted from my grandmother’s house. Fruit from Eastern Washington my mom bought each year in wooden crates from a man named Harry and canned for the upcoming winter months. Having only two channels to watch on TV…three if we could talk my dad into going up on the roof to turn the antennae. The hand-me-downs I got from my sister. I admit I didn’t appreciate either one of those at the time. Looking back over my adult years I can see how much time and energy I’ve spent trying to better my life, when it was really pretty good all along. These days I’m longing for the things I didn’t understand the importance of as a child. Like growing my own food and lazy summer days. Life was good. Not because we had so much…but because we didn’t. Things were so simple then. Sometimes less is more.